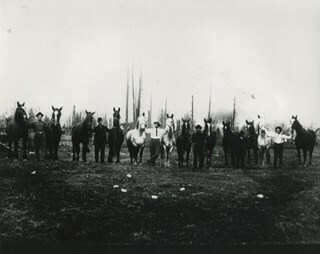 Photograph of a group of six men holding on to the reins of twelve horses, lined up in a row in a field. Mr. Ed Brown has been indentified as one of the men. The rest are unknown. 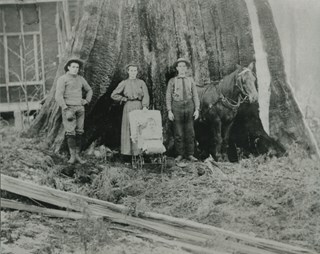 Photograph of members of the Brown family standing in front of a large tree. Identified are Ed Brown (next to horse) with his wife Jenny and one of their children ( in a baby carriage).The man to the left is unknown. 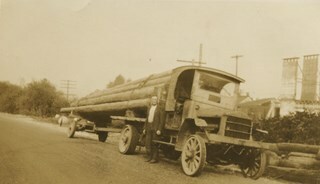 Photograph of Ed Brown standing beside his truck that is loaded with telephone poles. Ed Brown owned and operated E.S. Brown's Transfer trucking company in Burnaby. The business was located at 3131 Royal Oak Avenue. 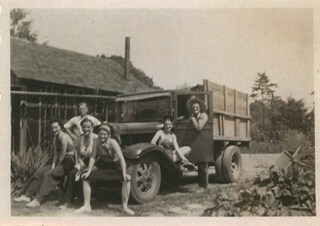 Photograph of Mr. Ed Brown and four of his daughters sitting in one of Ed's trucks (a GMC). Ed Brown owned and operated E.S. Brown's Transfer trucking company in Burnaby. The business was located at 3131 Royal Oak Avenue. 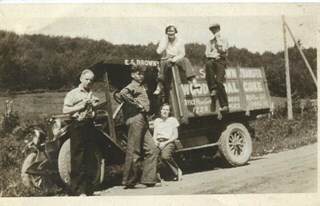 Photograph of Ed Brown and his daughters on one of his trucks. Ed Brown owned and operated E.S. Brown's Transfer trucking company in Burnaby. The business was located at 3131 Royal Oak Avenue. 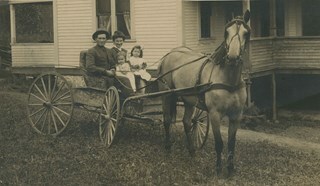 Photographic postcard of Ed Brown and his wife Jennie Birtch Brown with daughters Hazel and Inez in a horse-drawn wagon in front of their home. Ed Brown owned and operated E.S. Brown's Transfer trucking company in Burnaby. 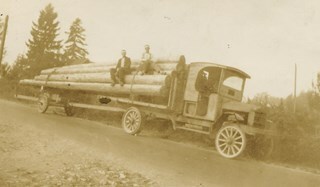 Photograph of Ed Brown and Morton Kidd sitting on top of Ed's transfer truck that has been loaded with telephone poles. Ed Brown owned and operated E.S. Brown's Transfer trucking company in Burnaby. The business was located at 3131 Royal Oak Avenue. 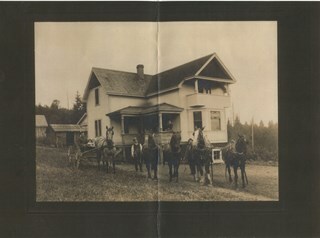 Photograph of the Ed Brown family home. This was the first home of Ed and Jennie Brown on Royal Oak Avenue and was built by Ed. 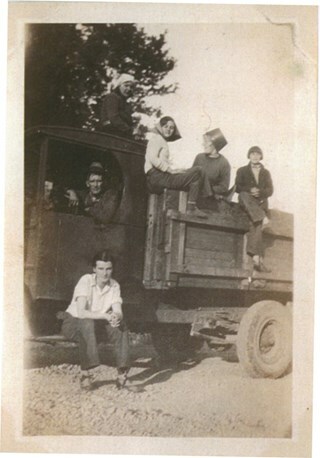 Ed can be seen sitting in the wagon with two of his daughters, Hazel and Inez while Jennie is on the verandah. 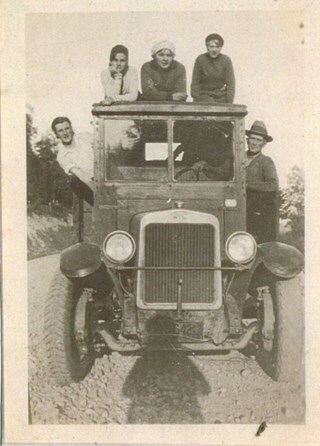 The other men in the photograph are unidentified. 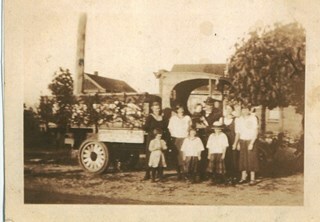 Photograph of the Ed Brown family standing in front of one of Ed's first trucks. Ed Brown owned and operated E.S. Brown's Transfer trucking company in Burnaby. The business was located at 3131 Royal Oak Avenue. 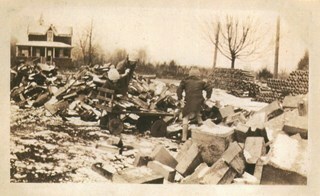 Photograph of what may be the supply yard used by Ed Brown. Ed Brown owned and operated E.S. Brown's Transfer trucking company in Burnaby. The business was located at 3131 Royal Oak Avenue. Three children (probably children of Ed and his wife Jennie) are loading material onto a home-made wagon.